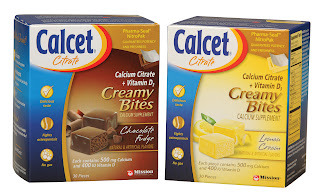 The Parthenon Company Blog - Specialists in Wound and Ostomy Supplies: Calcet Creamy Bites -- One of Our Favorite Calcium Citrate Supplements! 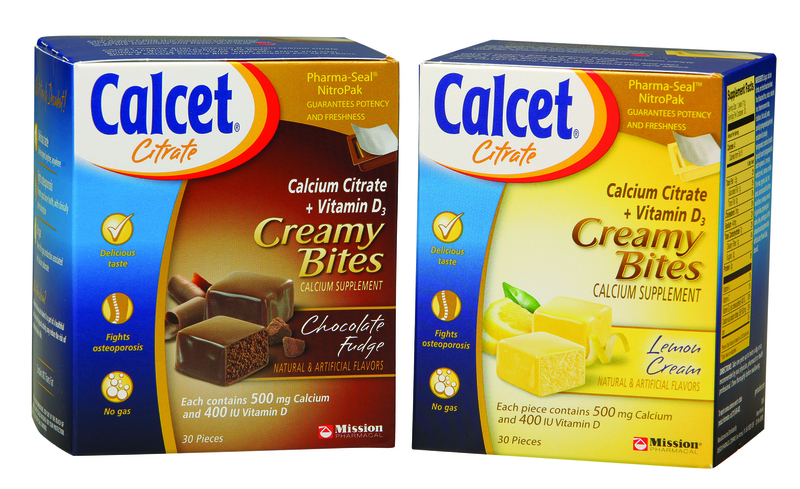 Calcet Creamy Bites -- One of Our Favorite Calcium Citrate Supplements! Calcet Creamy Bites Explode with Flavor! 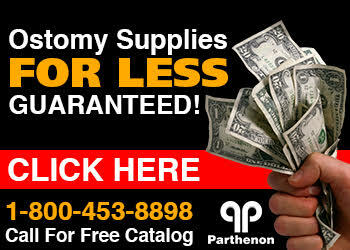 Do you have to take calcium citrate? Look no further as the Calcet creamy bites are absolutely wonderful. The texture and flavor are great and leave no after taste. Calcium citrate is a must for the bariatric patient (gastric bypass, duodenal switch and others) and there are drinks, tablets, and chews on the market, but we have not found a chewable version that has tasted this good! Calcet creamy bites are offered in two flavors and pack 500mg calcium citrate and 400 international units into each chewy bite. Bariatric surgery as well as other health conditions require you to supplement with vitamins that the body is deficient in. The flavor of both the chocolate fudge and the creamy lemon are superb and they are portable in their tiny sealed individual square packets. Each box contains 30 packets. Each creamy bite of the Calcet provides you with 500 mg calcium citrate and 400 IU of Vitamin D3. The calcium citrate and vitamin D3 are highly absorbable by the body which is key to maintaining strong bones. Calcet is manufactured by Mission Pharmacal.